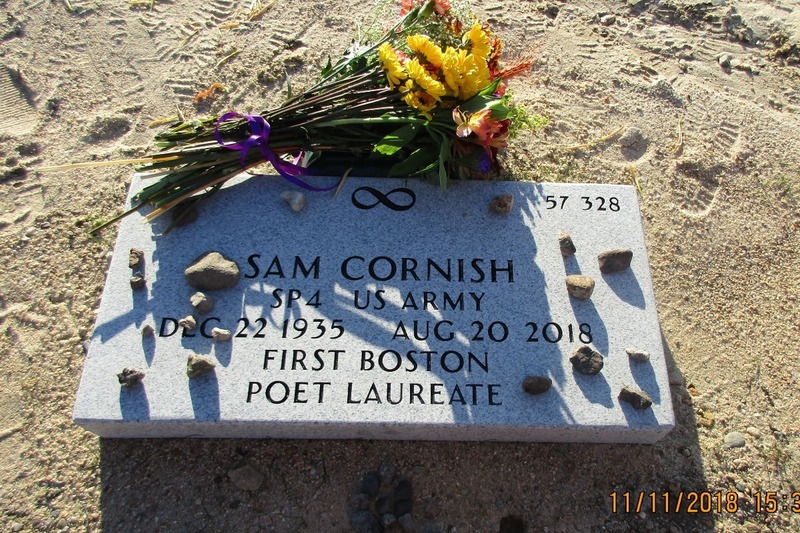 Sam Cornish, Boston's first Poet Laureate, was one of the outstanding poets of the Northeast and especially of Boston. He taught at colleges and community institutions poetry and creative writing to many who later published poems, stories, and books of the highest literary value. 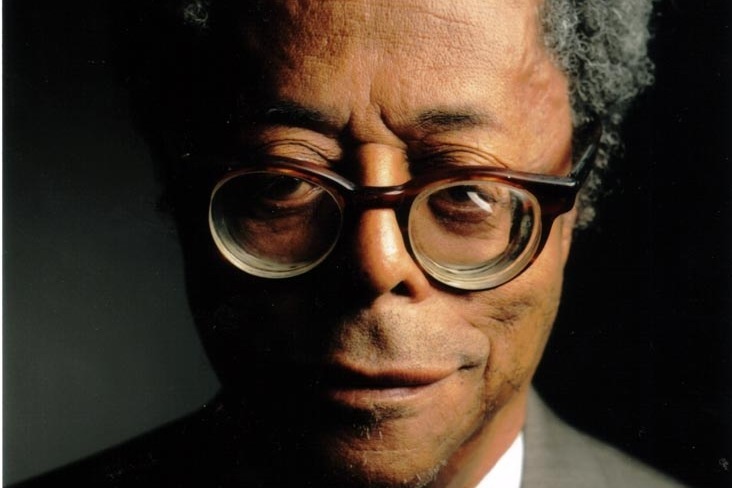 During his tenure as Poet Laureate, he worked with various groups in the community, such as carpenters, riders of the bus #57, and others individuals. One of the most outstanding tribute to Sam's poetic genius, was the theatrical production of "An Apron Full of Beans" performed by the Roxbury Repertoire Theatre under the direction of Marshall Hughes that drew breathless admiration. Sam directed the Urban Arts Literature Project for the MBTA Orange Line, which placed poetry and prose, in granite, at the nine new stations. These literary pieces remain one of Boston's best treasures celebrating the various community cultures. Sam remained my writing teacher and advisor/friend - even expressing his opinions on my writings when I visited him in rehab. I am raising monies to help cover medical and other expenses for Sam. Sam's graveside service is scheduled for Sun. Nov. 11 @ 1 p.m. in the Bourne National Veteran's Cemetery officiated by Jerry Katz, his longtime friend from Baltimore, MD. 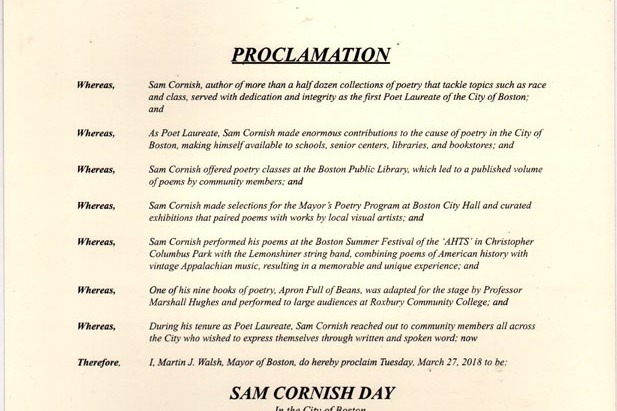 The Carpenters Poets will dedicate their annual reading to Sam's work. The event will take place on Nov. 26 @ 6 p.m. Doyles Cafe, 3484 Washington St., J.P. and it is open to the public. Sam Cornish and Folks Like Me is to poetry what Ray Charles and the song "Georgia" is to music. Both men were constructed for their art forms. Please check back with us for Sam's burial date and time. We greatly appreciate all donations that have been made in Sam's memory and the wonderful remembrances shared about his work. We thank everyone who supported us with their presence at Sam's Memorial on 08/30/18. We also thank everyone for their donations, continued sharing of our campaign, and of the remembrances that they share about Sam. Please read Doug's amazing tribute to Sam with such wonderful details about Sam's values/beliefs regarding poetry. We're up to $1,010!!! !Thank you so much for your contributions. If anyone can "boost" from their Facebook perhaps this will give us the additional reach we need to achieve our goal within 15 days. My best wishes to all supporter and those who hold Sam in their heart. Please see 08/24 Globe article in METRO section on Sam!